Presiding Bishop Michael Curry called us all to The Way of Love: Practices for a Jesus-Centered Life at General Convention a few months ago. 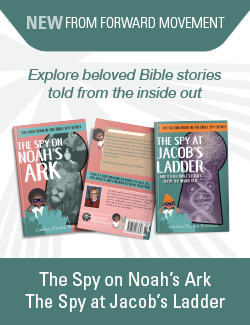 As a member of the team who worked this initiative just before it launched, I remember feeling my shortcomings – how could I teach my children and my youth group the seven practices Bishop Curry wants us to all follow every day when I didn’t think I could follow them myself? I kept my mouth shut as our Spiritual Formation Team engaged in scripture for each of the practices: Turn, Learn, Pray, Worship, Bless, Go, and Rest. I said nothing as we considered how aspects of our baptismal promise related to each concept. The more our team worked, the more I felt like a faker. I prayed as we all traveled home that my secret of inadequacy wouldn’t be found out. Now that I’ve had more time with The Way of Love, I realize why Bishop Curry has such faith in us. Bishop Curry believes in us because he believes in the power of Jesus who offers us a unique path to travel as we follow Him. Bishop Curry knows that the love of God made manifest in God’s son gives us the ability to do all that we need to do as we teach our children about this Way of Love and encourage them to follow it with us. And let’s admit it, we’re often the ones following our children. Last Sunday, I led our first Way of Love session at our youth group meeting. Our rector has embraced The Way of Love for our parish. Rev. Allison preaches about it and writes about it in our weekly newsletter. We gave out Way of Love tags at our backpack blessing to expose kids of all ages to the seven practices. This program year, Youth Group will spend a month focusing on each of the seven practices, starting with the concept of a Rule of Life. 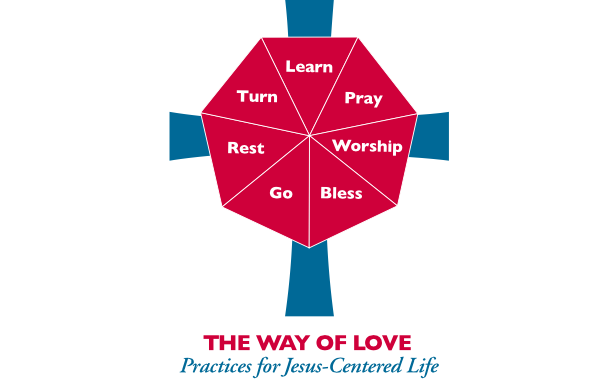 I didn’t create a youth resource; I’m using the materials that you can find on The Episcopal Church Way of Love page. Forma has links to great resources, too. All of the original material is open source, meaning anyone can create resources freely. I think my kids were excited to hear that they have the same materials that their parents would use. They didn’t hide the gleams in their eyes quickly enough. Just wait until they see The Way of Love catcher! The Way of Love gave me an opportunity to invite my youth to explore the concept of creating their own Rule of Life based on the seven principles. Relief doesn’t begin to describe how I felt as I witnessed them buy into this undertaking. No one cried mutiny or started asking about our next field trip. These kids truly want a deeper relationship with God through Jesus and the Holy Spirit. I’m humbled and thankful to be on this journey with them. God showed me through my kids’ willingness to embark on The Way of Love that I too can find success in this work. Yes, it’s difficult to practice all seven principles of The Way of Love each day. The good news that my youth knew is that God calls on each new day to begin again, that no day is a failure, and that each day we bring our authentic selves to the service of God counts as success. The Way of Love boldly calls us to try and try again. With God’s help, Calvary Youth Group joins thousands of others in our church on the path of The Way of Love. Join us, and let us know how it goes! Are you practicing The Way of Love? What would help you to get started?